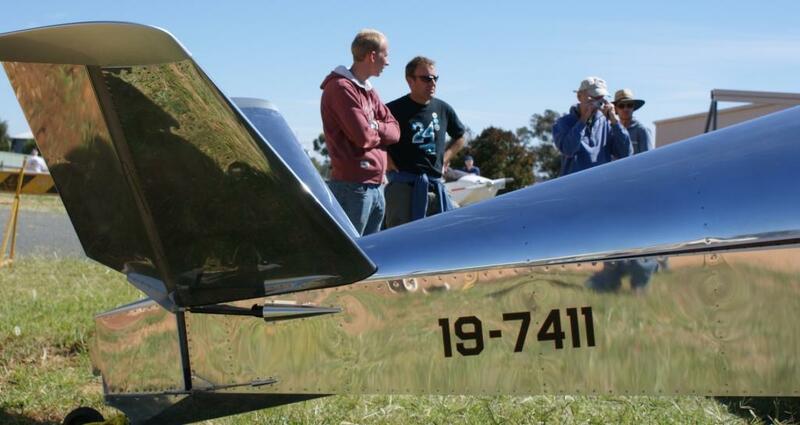 SonexAus – Natfly Natfly report 2012 In recent years the Easter Recreational Aviation Australia (RAAus) National Convention (Natfly) at Temora has become the pre-eminent sport aviation event attracting thousands of visitors from around Australia. 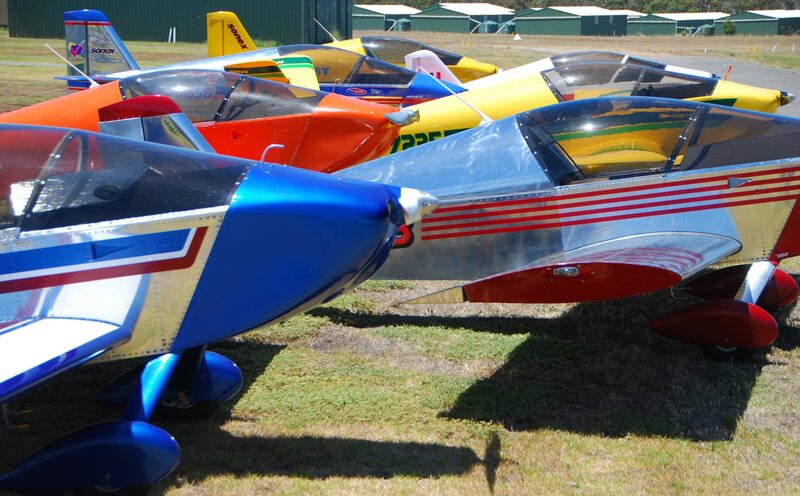 This year many hundreds of aircraft gathered in the autumn sunshine and the organizers recognized the growing Sonex fraternity by allocating a prime hangar for their display. 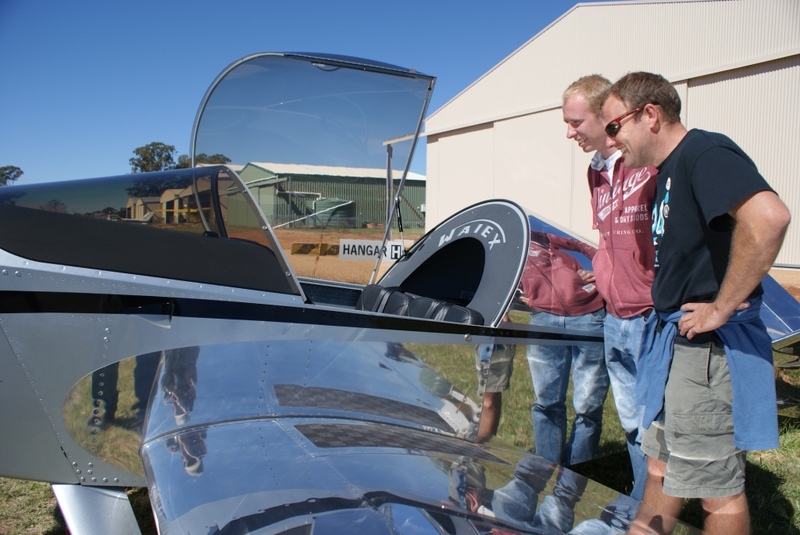 The SonexAus group had on show a range of completed aircraft, an AeroVee engine and several partly built projects. 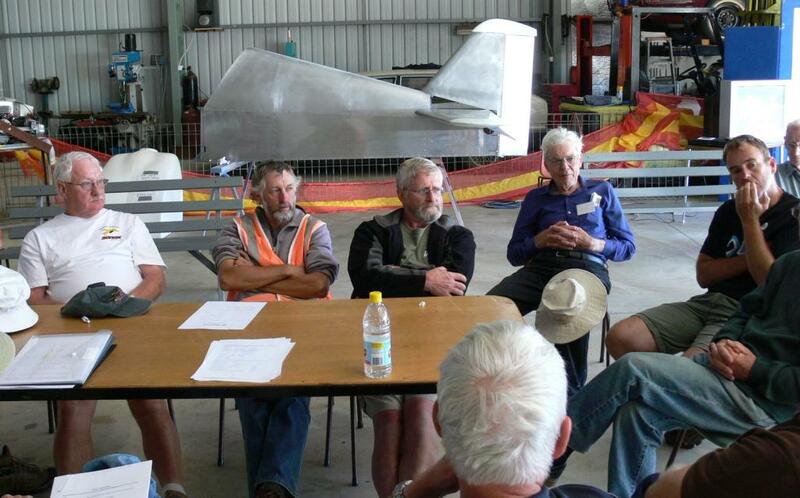 Several Sonex seminars and a Jabiru engine workshop were conducted in the hangar. 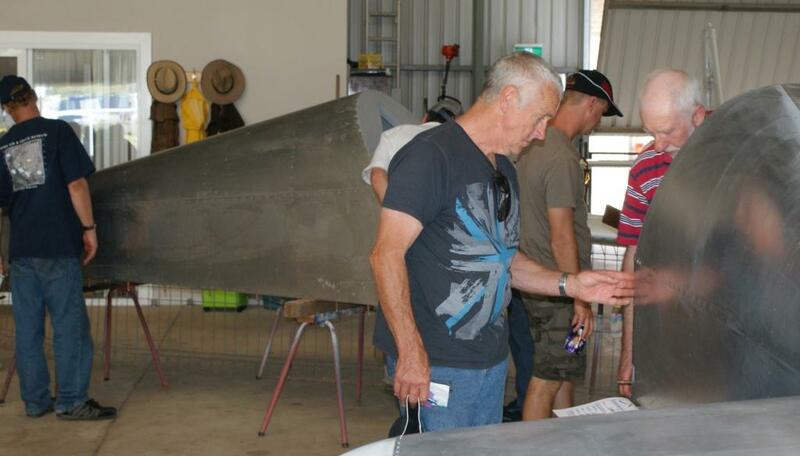 More than three hundred individuals visited the display, attended the seminars or admired the gathered Sonex aircraft. 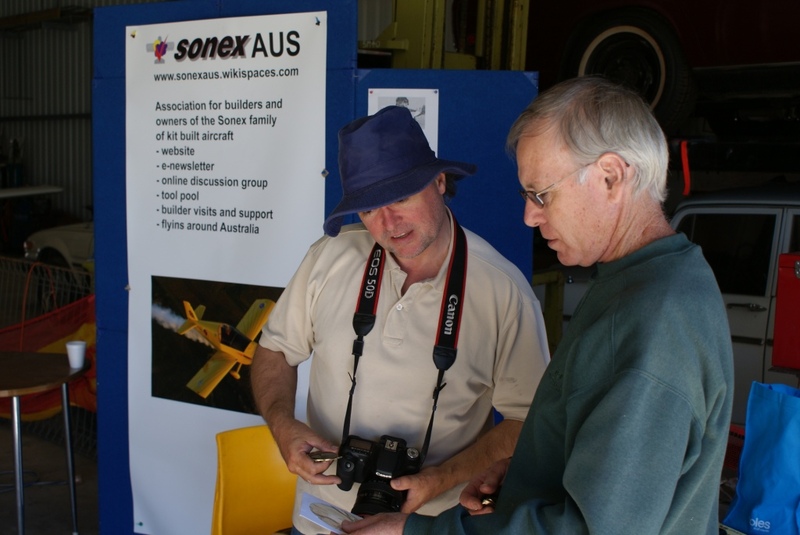 Over the weekend a new SonexAus Committee was elected and the group will now seek incorporation as a not for profit association in Australia to more effectively support our rapidly growing membership base. 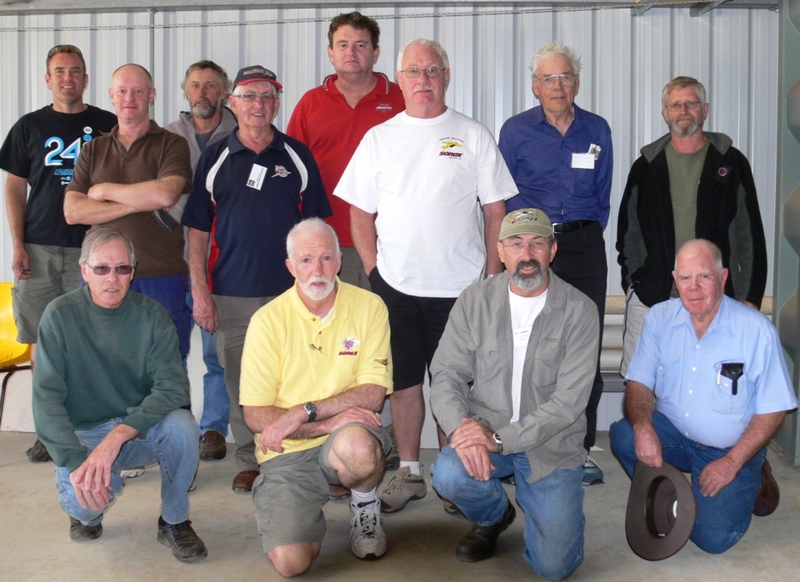 Sonex was front of stage at the RAAus Annual Convention Dinner when SonexAus President, Lynn Jarvis, was honored with Life Membership of Recreational Aviation Australia. While Ben McGuinness narrowly missed first prize for his immaculate Waiex 3300, it certainly won the ‘people’s award’ for the breathtaking workmanship and attention to detail.